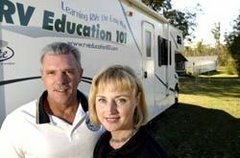 Another addition to towable trailers is the Sport Utility Trailer (SUT), also referred to as toy haulers and Sport Utility RV (SURV). These trailers have living quarters in the front and cargo /storage space in the back. There is a rear ramp door that lowers so you can load your motorcycles, ATV’s or other toys that you want to take with you on a camping trip. 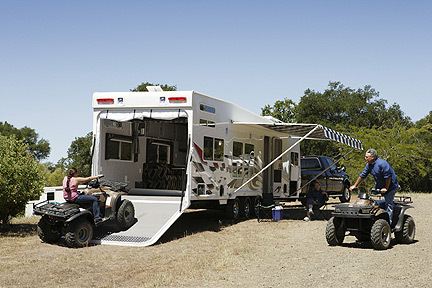 Sport Utility Trailers offer cooking facilities, dining areas, bathrooms, slide outs and sleeping arrangements like conventional travel trailers. There are lots of options available including generators, making the SUT fully self-contained so you can enjoy out of the way places. SUT’s come in a variety of sizes to accommodate what the outdoor enthusiasts want to take along. If you purchase a sport utility trailer it is iomportant you know what the fully loaded weight will be, and that you have a truck capable of safely handling the weight. 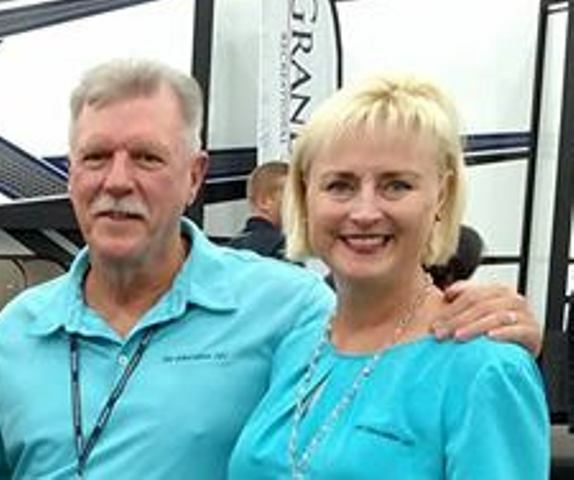 The popularity of toy haulers lead RV manufacturers to build sport utility RV's in fifth wheel and motorhome models too, so prices can range anywhere from $20,000 to well over $100,000.